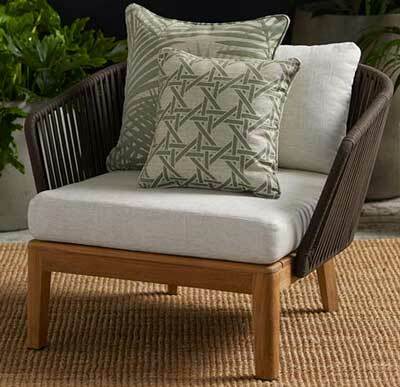 Daintree by Warwick Fabrics is perfect for the Queensland lifestyle. The beautiful shade of green and the palm print evoke the essence of Queensland decor which is fresh, cool and relaxing. Whether your home is a classic Queenslander or a modern home, the ‘Daintree’ is a design that would suit both. It is casual elegance. If you would like a quote to update your lounge to the casual elegance of ‘Daintree’ please contact us today.